Join renowned ceramicist and educator, Janet DeBoos, in this two week wheel-based pottery workshop that will examine the potential of using the wheel as a basic tool to provide form for manipulation and decoration. The ‘centered’ character of wheel-formed pottery will be highlighted, and subverted through cutting/joining and deforming at different stages of drying to make hybrid forms that are neither completely hand-built, nor completely thrown. Decoration will be through use of underglaze colours and slips, and will require participants to explore the imagery and iconography of their own places and cultures as well as local material gathered during the workshop. There will be discussion of pattern development and how judicious use of decoration can enhance formal aspects. The outcome will be pottery, with the potential for use, but in arriving at that complex point, function may need to be relegated to the ‘back burner’ during formal experimentation. This allows for a more rigorous analysis of form. The restoration of function will then require examination of what constitutes function, and how more sculptural forms can be made to function without loss of their distinct characteristics. The general thrust of investigations will be towards a kind of hybridity, arrived at by exploring ‘the other’. Each day will commence with a talk or a demonstration, followed by participants working with supervision, and each day will end with a critique of that which was produced during the day and an outline of the next day’s projects. *Tuition fee includes general studio materials, firings, transport during workshop hours, excursions around Bali, Welcome dinner, and lunches at the studio. To book or for more information go to Gaya Ceramic Arts Center, or email, gayacac@gayaceramic.com. 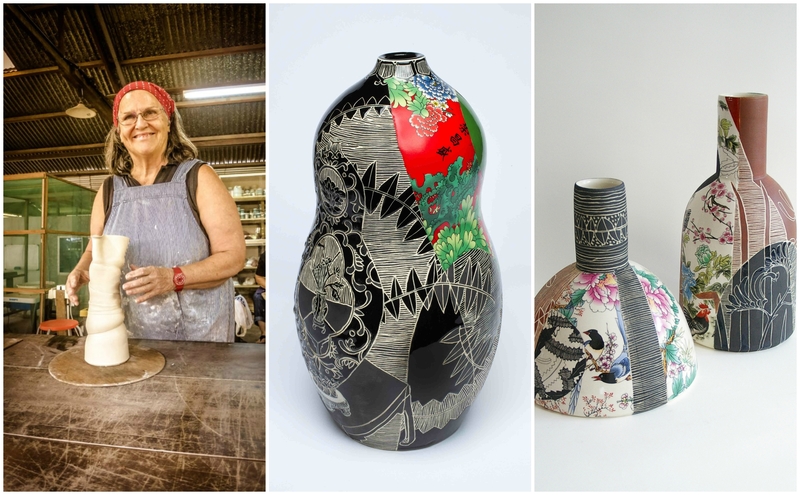 Artist Bio: Janet DeBoos has had a significant impact on contemporary ceramics in Australia, having been the Head of Ceramics at the Canberra School of Art at the ANU for over 10 years. DeBoos exhibits regularly both in Australia and internationally and is represented in many major permanent public collections in Australia, UK, Canada, China, Taiwan, Belgium, and New Zealand including the National Gallery of Australia, The National Museum of China and the Musee de Mariemont, Belgium. 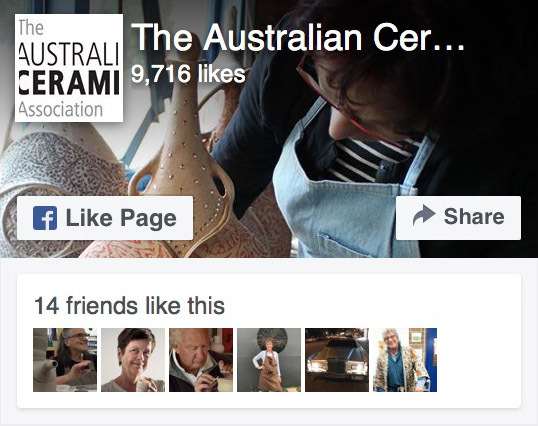 She has written two bestselling books on glazes, co-authored Handbook for Australian Potters and has written numerous articles for Australian and international ceramics journals on ceramic art practice, education and glaze technology. Her work has appeared in those same publications, and most recently has been included in The Pot Book by Edmund de Waal (UK). DeBoos is an influential artist and teacher and a passionate and tireless advocate for her medium. Over the last sixteen years she has become a regular visitor to China, engaging in projects with industry as well as undertaking residencies, and teaching at the China Academy of Art. She has also inaugurated a biannual trip to China for students from the ANU Ceramics Workshop to the porcelain capital Jingdezhen. Students will explore personal narratives and concepts through sculptural figuration. Referencing memories, life experiences and applying inspiration by the culture and surroundings of Bali, participants will be supported to achieve their vision using the principles of sculpture. 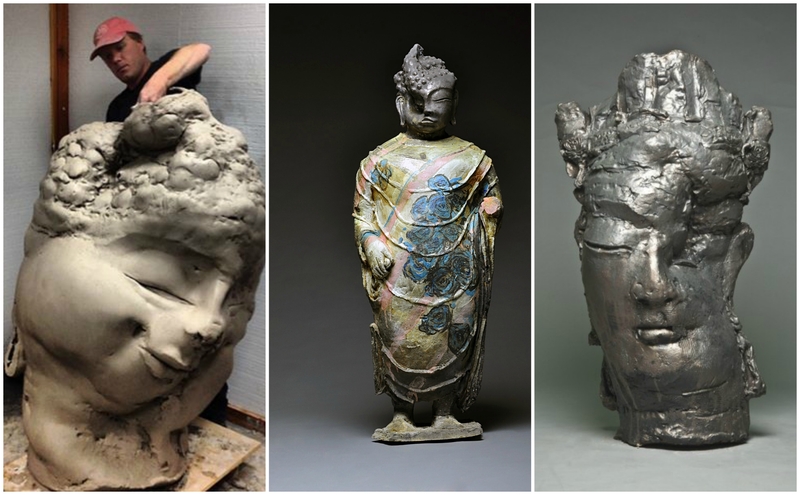 A wide range of techniques and approaches used by the diverse array of figurative artists will be introduced to expand participant’s ability and potential in clay. Ryan will demonstrate a variety of hand-building methods including coil, slab, solid construction and press molded techniques. Material information will be provided to increase technical knowledge of ceramic construction before, during and after the firing process. The workshop will explore the various aesthetic and conceptual approaches to expression that clay offers to construct sculpture at both large and intimate scaled work. Information on a variety of clay, glaze and surface treatments will be covered. Artist Bio: Ryan Mitchell is a sculptor/painter and is a 2013-14 resident artist at the Red Lodge Clay Center. Recently Ryan held the position of Resident Artist Director Of Da Wang Culture Highland, a centre for the arts in Shenzhen, China. He received his MFA from the University of Montana in 2005. Ryan continued to reside in Missoula, Montana from 2005-2007 as a resident artist at The Clay Studio of Missoula. Since his years in Montana, Ryan has been selected for four different artist-in-residence programs. In 2007 he was a resident at Australia National University in Canberra. He participated as a resident artist at the LH Project in Joseph, Oregon in 2008 and 2009, and most currently in 2012. He was selected as one the first Americans to be an artist-in-resident at the FuLe International Ceramic Art Museums in Xi’An, China. Ryan was also a resident artist at The Northern Clay Center in Minneapolis (2010), receiving the 2010 McKnight mid-career residency fellowship. While working in Montana, Ryan designed/built kilns, instructed ceramic courses/workshops, and shared a passion for the development of ceramics in the west states; Ryan now extends his contributive spirit globally to make significant contributions to the Arts and Culture in China. Ryan has curated or been featured as an artist in eight exhibitions and has arranged for more than forty international artists to visit and create their art in China. For more information go to the website, Gaya Ceramic Arts Center, or email, gayacac@gayaceramic.com. This post was sponsored by Gaya Ceramic Arts Center.